Western diplomats have once again come to Kiev’s Independence Square, the epicenter of protests which have evolved from democratic rallies into violent riots. Ambassadors reportedly met with leaders representing radical forces. 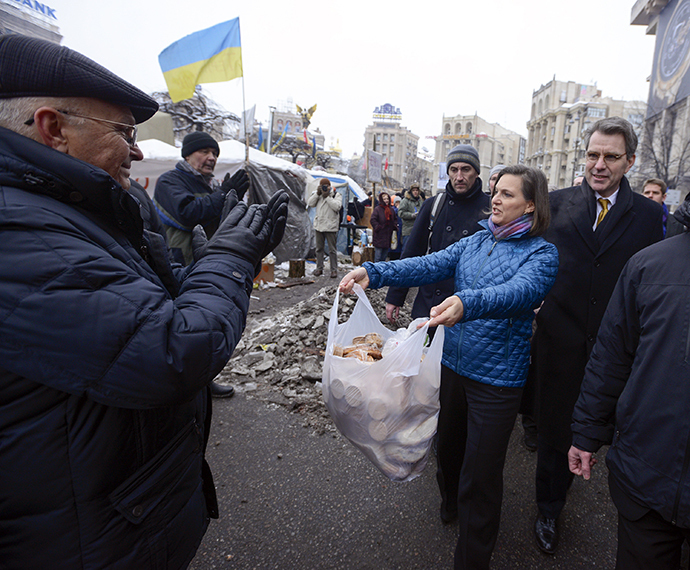 American, Canadian, and European diplomats arrived at Independence Square - also known as Maidan - on Sunday, the opposition Batkivshchyna (Fatherland) party said in a statement. The diplomats also “inspected” the Trade Unions Building, home to the National Resistance Headquarters. 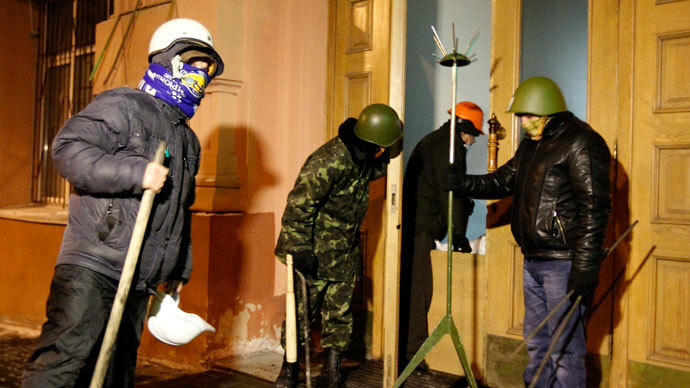 The so-called “commandants” of Maidan, Batkivshchyna deputies Andrey Parubiy and Stepan Kubiv, "showed" that there were no weapons on the square or in the building. The visit followed “disinformation by the Ukrainian authorities and Russian TV channels about alleged stockpiles of arms on Maidan,” the statement reads. The foreign diplomats also reportedly met with the speaker of Right Sector - a movement uniting several nationalist organizations - and one of Maidan’s self defense commanders. The diplomats were “convinced that these people posed no threat” and that the “aggression” only comes from government forces, as said in the press release. 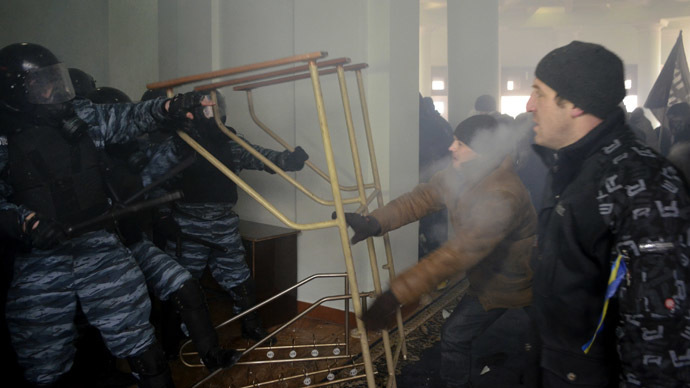 Right-wing extremists from Right Sector have been widely involved in violent clashes with police in Kiev. The group is committed to ousting the “occupation” government at any cost. The movement posted “instructions” for their members on a social networking site on Monday, though the directions looked more like a military order. 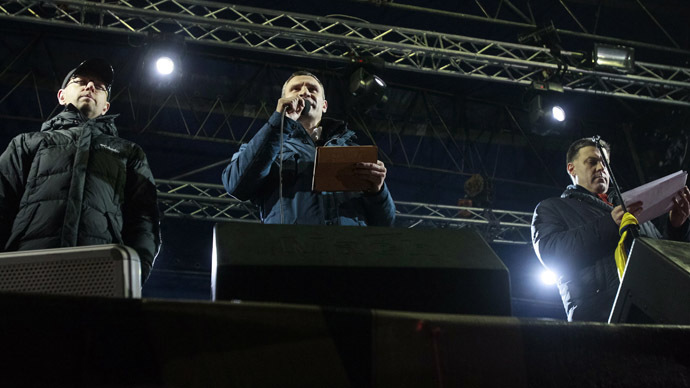 The message calls on regional commanders and their deputies to organize their subordinates in units, conduct propaganda among the general public, and “neutralize the anti-Ukrainian bloc” – apparently referring to government supporters. Additionally, Right Sector commanders must provide their units “with everything necessary” and be “ready to act illegally.” Upon request from the headquarters, they should “send people to Kiev and other regions,” the message reads. 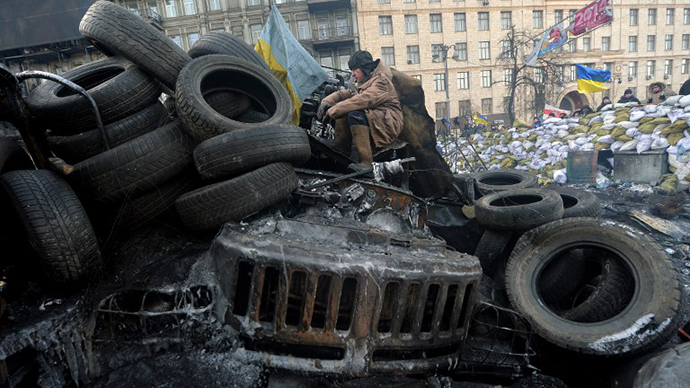 Peaceful anti-government protests began on November 21 after Ukrainian President Viktor Yanukovich refused to sign an association agreement with the EU. Since then, a standoff between government forces and the opposition has continued, with both sides succumbing to violence. Though thousands continue to arrive at Maidan for peaceful demonstrations, radical groups - primarily Right Sector - have moved to the forefront of the bloody confrontation. 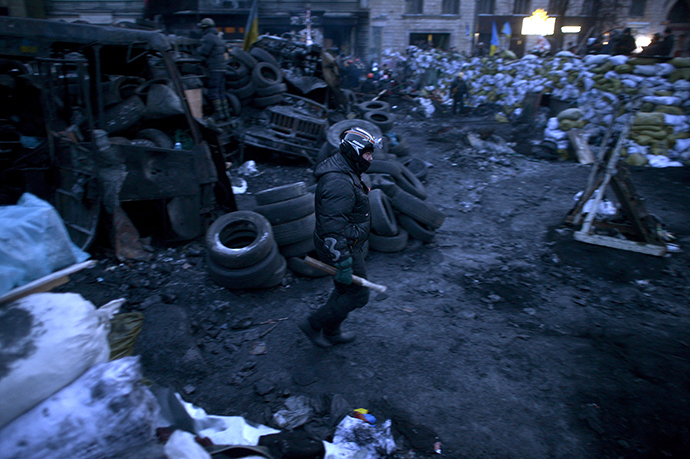 January has been marred by chaos in Kiev and several other cities, with protesters seizing administrative buildings, attacking officers with Molotov cocktails, and even setting up an improvised catapult to launch stones and firecrackers at police cordons. Right Sector coordinator Andrey Tarasenko stated that a civil war could begin if police use heavy force against protesters. “If they attack and try to carry out a bloody crackdown, I think there will be a massacre. 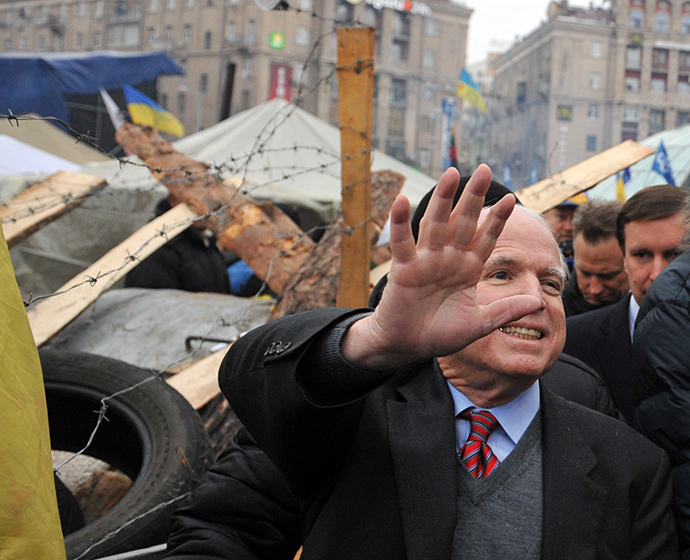 Guerrilla warfare will begin in Ukraine,” he told RFE last week. 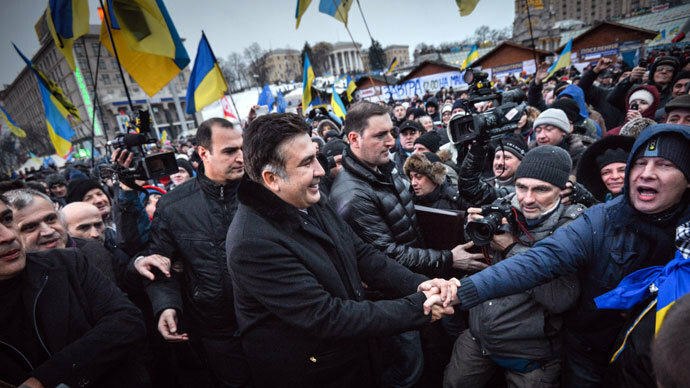 Since the beginning, the rallies have been marked by western politicians’ regular visits to Kiev and their emotional condemnations of Ukrainian authorities. Such pilgrimages were condemned by the ruling party’s MPs as meddling in the country’s internal affairs. 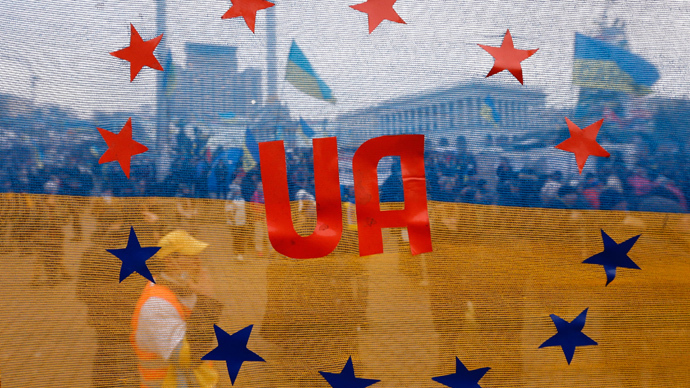 In late December, the Ukrainian Security Service temporarily banned a number of foreign citizens from entering the country over “national security” concerns. The names of those denied entry were not made public. 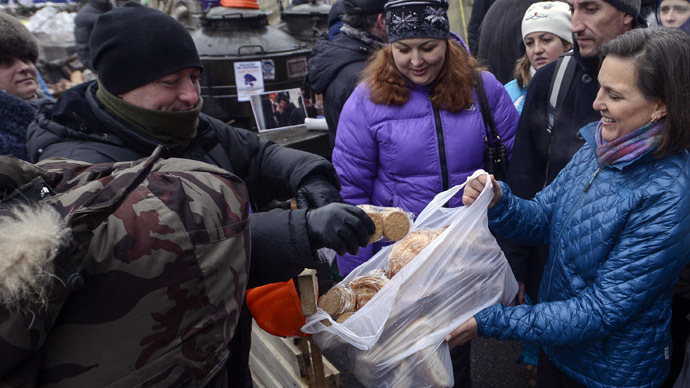 On Friday, US Secretary of State John Kerry reiterated Washington’s support for Ukrainian protesters. 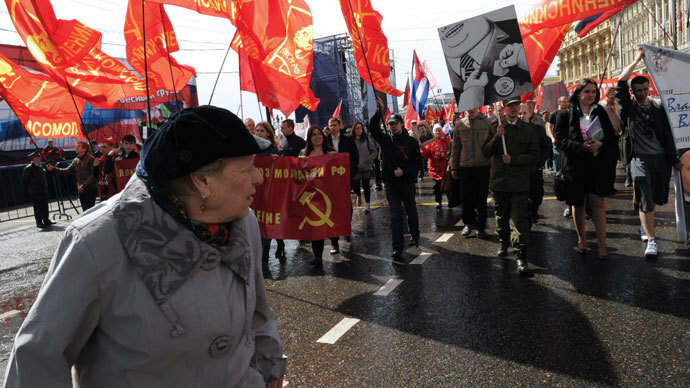 However, so far Western politicians – who repeatedly blamed Ukrainian government for violence – have not condemned radical protesters for using force. Moscow has called for a settlement of the crisis without foreign interference. Russian Foreign Minister Sergey Lavrov said Monday that he regrets that “outrageous violent actions of fascist-type fellows” rioting in Ukraine have received “no evaluation in principle” by EU bodies.